In the parking garage P4, we have installed two luggage deposit units with a total of 116 boxes in 3 sizes. As a new feature, the biggest box now has room ski or golf bags. It's only possible to pay with credit card (VISA or Mastercard).You choose and pre-pay for a period of either 4 or 24 hours. Afterwards, it is possible to pay for storage of up to maximum 7 days. 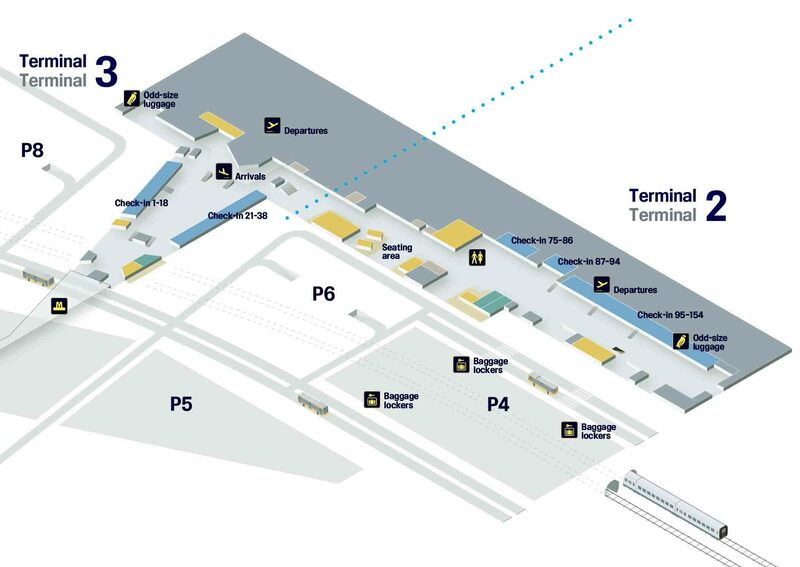 Further information and guidance can be given by contacting the Information in Terminal 3. Where do I find the luggage units? You'll get a receipt that provides you with your locker number and the code needed to open the locker at pick-up. If you lose your receipt, a payment of DKK 400 is needed in order to open up the locker. The payment must be made to the Information in Terminal 3.